Dedicated to finding a cure. You never want to see your kids have a fever, break a leg or definitely have to be taken to the ER. Wesley really never had any of those “normal” childhood illnesses. He didn’t have a lot of ear infections, sore throat or fevers. He was all around a happy baby, and so easy to please; slept great too! What he did have was a brain tumor that we were unaware of for over three years. Wes was a puker tho! From day one we had to change his formula more than once. Randomly he would still just vomit and then go about his day as if nothing had happened. After he was enrolled in daycare they would call me and say he was sick and had to leave. We would get home and he would be fine. As a mom you worry, especially since he was my first and I was young. I had a feeling that there was something else going on. There was, we just didn’t know about it for almost a year and a half of doctor visits and testing. I always say I will remember the day and time of every surgery he ever had. Dec 8, 2004 was the first time he had ever been put to sleep and admitted into a hospital. The list just grew from there. He had a benign Craniophryngioma that had produced a cyst as large as the left side of his brain. There were 6 surgeries and 6 weeks of Radiation before I ever got my happy little boy back. The worry of what’s to come never went away. Years of checkups, lab draws, hormone replacement medications, MRI’s, CT scans, Seizures, seizure meds, ER visits and Hospital Admissions; the night of May 24, 2017 at 7pm will be a date that our family will never forget. Dr. Merchant had been Wes’ primary doctor for over 13 years. He always bragged at how well he had done and how much he grew since that first day in 2004. 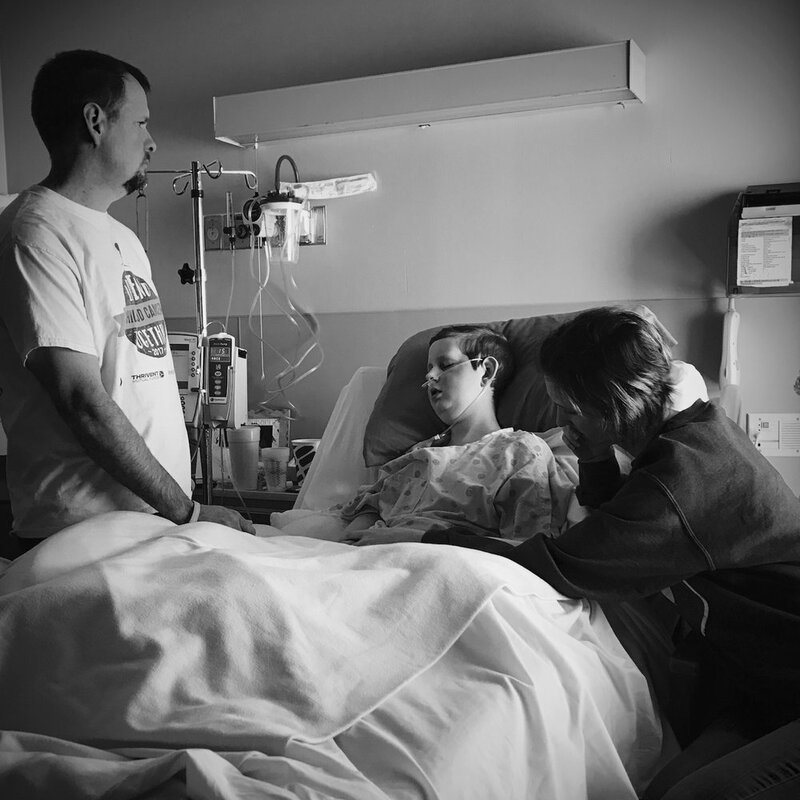 I know his heart was broken, as well as ours, when he had to tell us that our son had another tumor. The diagnosis, Glioblastoma Mutiforme Grade IV, which is terminal and he had approximately six to nine months to live was not easy to hear. Wes was scheduled for surgery when school was out for the summer. It was important to the doctors that he get to finish his Sophomore year. That was a sleepless night with lots of questions. One in particular, was God why do we have to watch him slowly pass away? To us it seemed it would be better to lose him quickly than to watch him suffer thru the cancer treatment. Our loving God had an answer for that and Wes showed us the definition of Perservance. I believe Wesley had the best nine months of his whole 16 years of life. We were able to spend genuine quality time with him. We got to see so much good from others as they loved on and prayed for him. We started a list of all the things he wanted to do and we did them. He got a trip to LEGOLAND in Orlando, a surprise 16th Birthday Party/ Fish fry, Corvette ride, becoming a horary member of the CCHS football team and even a “coach” he would tell you. He was a Crew Chief for a UH-60 Blackhawk and was honored by the Veterans of Foreign Wars with a flag ceremony. A trip to the beach over New Years and lots of eating out and Lego building! This boy led many kids to prayer at school; friends, and family to church just by being “faithful”. We always prayed for a miracle and having him present during Thanksgiving and Christmas was a miracle for us. Wesley never complained or asked “why?" He took each day head on and will forever be the toughest, bravest, courageous, yet sweetest man we know. He put his faith in God on full display. He spoke that he wasn’t afraid if he died because “I know where I’m going”. What a relief that is to hear as a parent that your child has blessed assurance that he is Gods child. We have seen and heard of many people’s lives being changed because of our sweet boy. The Holy Spirit has always been where Wesley was. Our hope is that people would come to know Jesus through Wes’ journey and be fearless in sharing that faith. Going through the loss of a child we thought would be unbearable, but with God all things are possible. He is with you in the Valleys and on the Mountain Tops. We were blessed to be Wesley’s Parents for 16 years, 9 months, and 4 days. He was a blessing to us all! Cancer may have taken our son but it didn’t win the war. Wesley got his miracle and is in Heaven dancing on the streets of Gold. 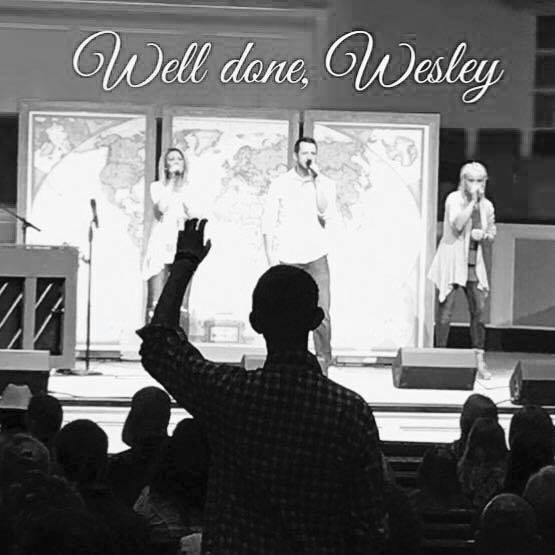 Our trust and faith in God grew because of Wesley. It is not Good Bye, it’s See You Later "WesDawg". Aug 2017 Wes’ wish to visit Legoland was granted thanks to Dreams and Wishes of TN. They are a small noprofit based out of Nashville, TN that grant wishes to children who have relapsed or been diagnosed a second time. He looked so peaceful laying there that we knew he was “ok”. Everyone commented the whole week we were inpatient about how when they walked into the room they could feel a peace in the air. We knew it wouldn’t be much longer until his body left us. Use the form below to contact us. All questions and comments are welcome. Follow us on Facebook and Instagram for all the latest news and updates.